The Thai junior football team who were rescued from a flooded cave after being trapped for more than two weeks trained with the Los Angeles Galaxy and their star striker Zlatan Ibrahimovic on Friday in the latest stop of an international tour. 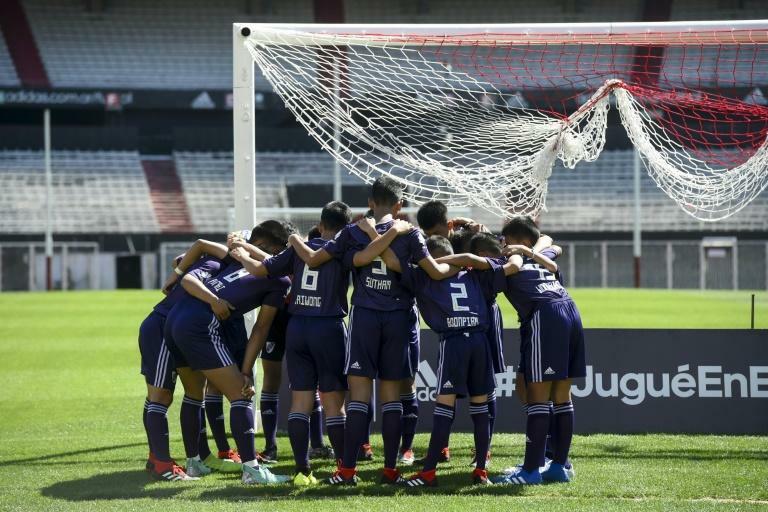 The Wild Boars team, who earlier this month were guests at the Youth Olympics in Buenos Aires, were given a tour of the Galaxy's StubHub Center stadium before training with members of the MLS team at a nearby pitch. The Thai youngsters, aged between 11 and 16, were retrieved from the Tham Luang cave complex in July after a dramatic rescue effort. Friday's visit to the Galaxy was set up by US television star Ellen DeGeneres, who hosted the team on her show on Monday. Former Sweden international Ibrahimovic had also appeared as a surprise guest to meet the team on the show. "I thought I was brave, but these kids, this team, is more braver than me... This is probably the best team in the world," Ibrahimovic said. The team became the centre of global media sensation as the world watched and waited for news of their rescue in June. The rescue effort claimed the life of a rescue diver, former Thai Navy SEAL Saman Kunan.